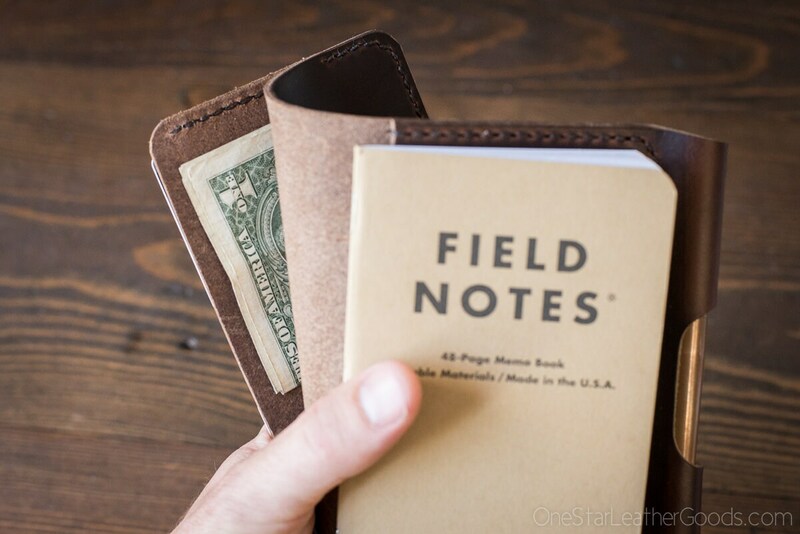 A pocket notebook wallet for cards and cash that comes with a Field Notes notebook and a pen sleeve for your favorite ink stick. 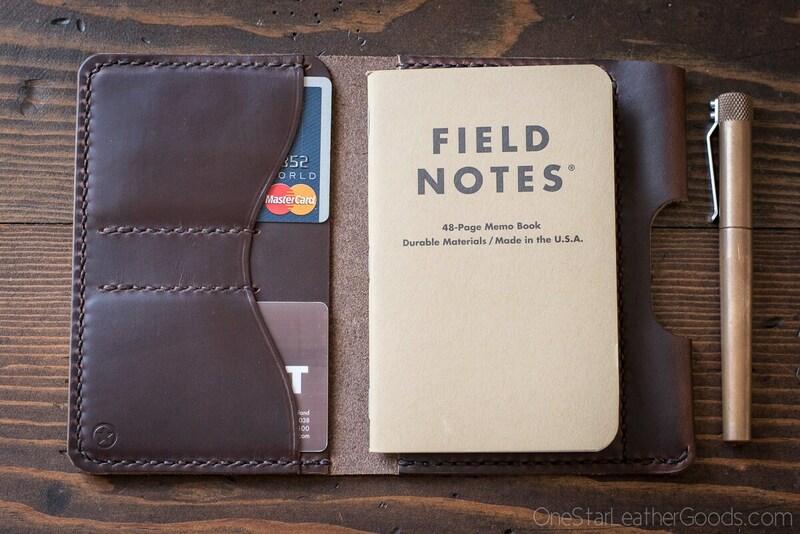 People who appreciate good old paper and pen will love the functionality of this wallet. 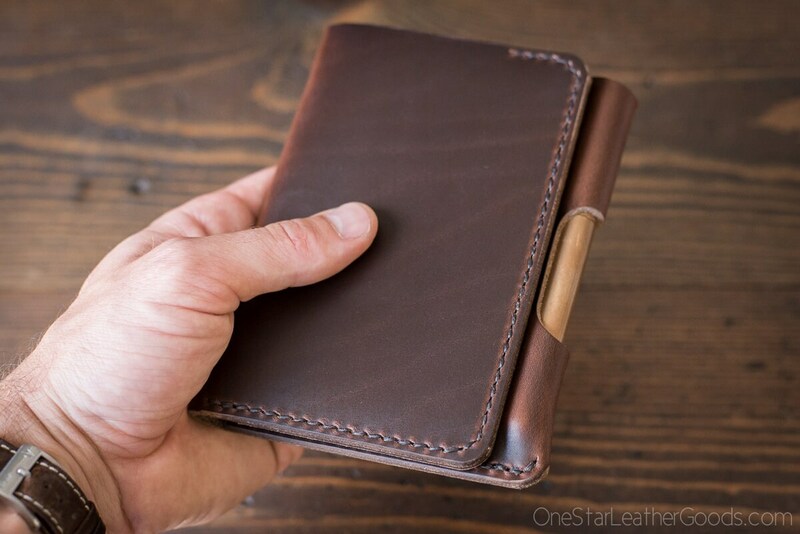 VIDEO BREAKDOWN - To see a video demonstration of this product, visit onestarleathergoods.com/theparksloper. I had been wanting to combine a wallet and pocket notebook for some time, so when my cousin called me in 2012 and requested exactly that, I immediately got to work. My cousin is a singer/songwriter living in Brooklyn, NYC (www.johndelore.com). He gave the product its name as he figured it would be a hit in his neighborhood. A lot of time and effort has lead me to this design and I stand by its quality and utility. Often copied but never replicated, if you're looking for the original, you've come to the right place. Two card slots hold at least 4+ credit cards each. Behind them is a large pocket for folded bills, receipts, etc. A partially open top facilitates access. 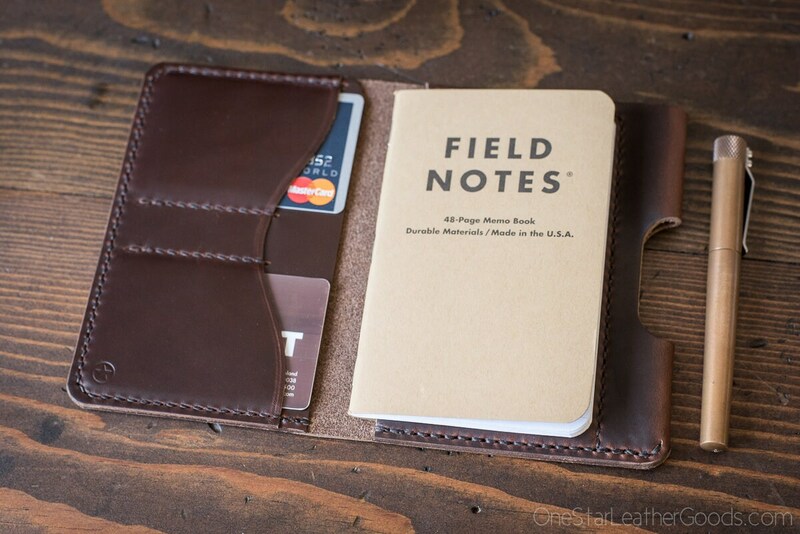 You can also tuck bills or cards behind the notebook. 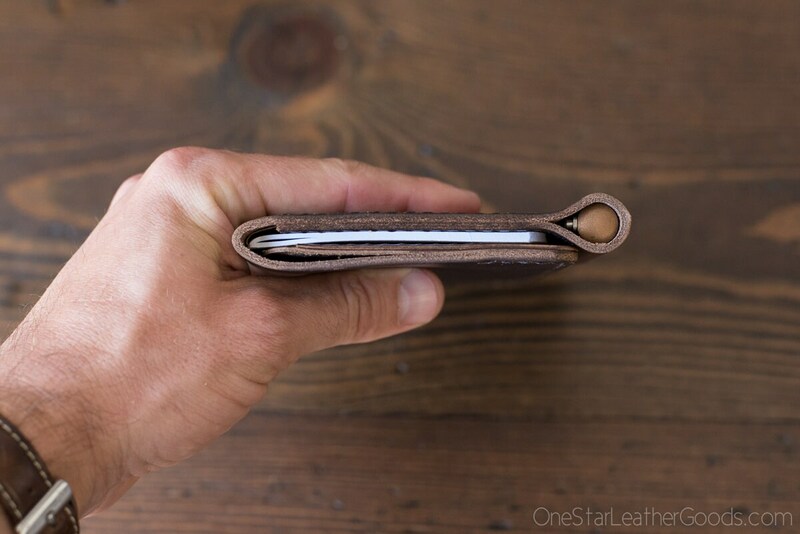 The narrow pocket between the card slots can be used for a house key, micro pen, micro pocket knife, fortune cookie papers, etc. The Park Sloper Senior is at home in a bag, a purse or in the back pocket of your jeans. 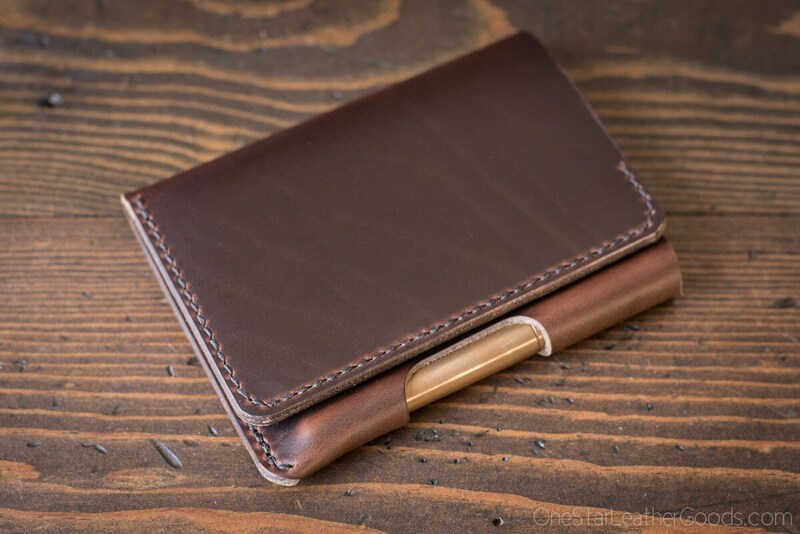 As long as you position the pen along the outside edge of the pocket, this wallet is comfortable even when sitting--if you look at the outside seam of your back pocket while you are sitting, it remains almost straight, so there is very little risk of bending or breaking pens. 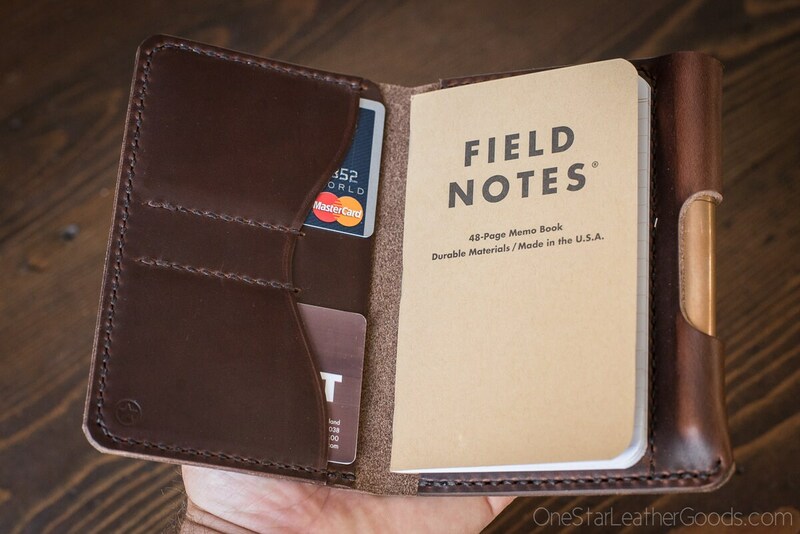 Includes a Field Notes 3.5"x5.5" pocket notebook, and it will work with similarly sized notebooks from a wide variety of companies: Clairefontaine, Moleskine, Rhodia, Forest Choice, Word Notebooks, Rite in Rain, Doane Paper, Fabriano, Paper Stax, Scout Books, Furrow Books, Slim Note, Denik, Calepino-- you get the idea, there are a lot of options. The pen sleeve will fit many pens up to about 11mm in diameter. The pen sleeve is designed to swallow the entire pen, including clip, so there is nothing to catch on pockets and such. The open window in the pen sleeve facilitates removal of the pen. Pen not included, you must provide your own.